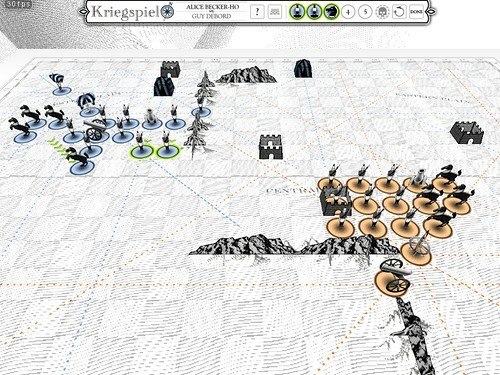 In 1978 the French Situationist Guy Debord designed and fabricated a board game called “The Game of War.” Thirty years later RSG is resurrecting this largely forgotten game, translating the game instructions from French to Java and releasing it as an online computer game. We explore the contradiction between Debord, a symbol of radical politics and art in 1960s France, and the Napoleonic war game he created. In Debord’s own words the game was the only thing in his entire body of work that had any value. Was it nostalgia, or a vision of things to come? Founded in 2000, RSG is a collective of programmers and artists working on experimental software products. The Kriegspiel team consists of: Alexander R. Galloway, producer and programming; Carolyn Kane, research; Adam Parrish, programming; Daniel Perlin, sound; DJ /rupture and Matt Shadetek, music; and Mushon Zer-Aviv, design. 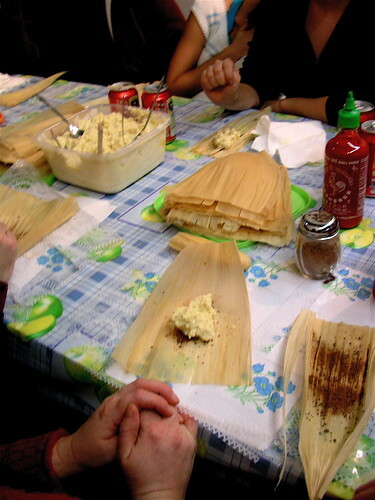 I wanna make some Tamales …(hell yeah!) Flickr set. Thanks Michele. Enrollment is limited for the cooking lesson. Please contact mriver@mteww.com to reserve your place (materials fee: $5). Elaine Tin Nyo is a conceptual artist with a computer and kitchen in Harlem, New York and a locker in Chelsea filled with dance shoes. 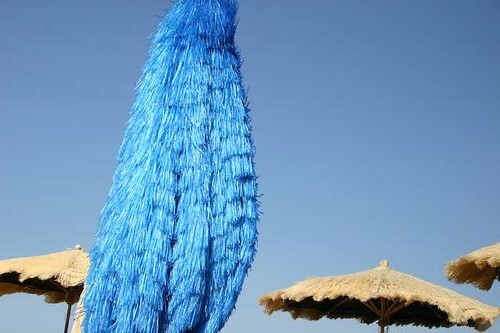 Elaine’s works explore the structures of sensual experience and social interaction. Her primary subjects have been social structures such as dinners, classrooms and ballroom dance. Her photographs, recipes, videos, installations and performances have been presented by BlindSpot, Deitch Projects, Thread Waxing Space, The New Museum, Creative Time, Bronx Museum, Fargfabriken, Neueberger Museum, Leslie Tonkonow Projects, Chez Bushwick, and French Culinary Institute.